Below are common questions related to our Chair Yoga teacher certification course. Hopefully, these questions and answers are helpful. If not, please feel free to add comments related to Chair Yoga education, for teachers, below the post. Q: Do I have to become a certified Yoga instructor first, before taking the Chair Yoga course? A: No, there is no pre-requisite to the Chair Yoga certification course. However, it is advised that you have a minimum of two years of foundational Hatha Yoga training, as a student, before taking any teacher training courses. Q: I am a certified Yoga instructor. Can I take your upgrade course for Chair Yoga certification? A: Yes. However, the upgrade course is for graduates of 200 hour Yoga teacher training programs. Therefore, our pre-requisite for the upgrade course is that you must have documentation of a minimum of 200 hours training in a program for Yoga teachers. Q: Does the Chair Yoga training program come with a specific syllabus to follow in the training; or does it just come with all the information that we must read, and educate ourselves? A: Yes – our Chair Yoga course does come with a syllabus (step-by-step instructions). However, it also contains DVDs, CDs, and Books, which will be required for your studies and assignments. Q: When comparing your training does your course address specific issues related to the aged population. Does your training program do this? A: Yes – our Chair Yoga course contains information for seniors, with a variety of ailments, and it also contains information for working with people who may have ailments – and who are not seniors. There are also tips about Yoga for the office. Q: Is your course accepted by Yoga Alliance for non-contact Continuing Education Credits (CEC units)? Do we receive a certificate of completion? Do you require testing to make sure a Yoga teacher is on track? A: If you are already a Registered Yoga Teacher, our courses can be used for Yoga Alliance non-contact Continuing Education Credits (CEC units). 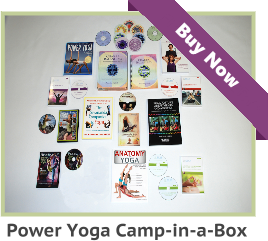 Yoga Alliance does recognize our courses for continuing education, as I am an E-RYT 500. Upon successful completion of our course, you will receive a certified Chair Yoga Teachers Diploma. There are exams and assignments for you to complete throughout the course, and you are more than welcome to contact us, by phone or email, to make certain that you are on track. Q: I am ready to begin training to teach seniors (I am a new RYT). I want to make the best decision for the best training. Can you help? A: I am eager to be of assistance – please let me know how we may help. Q: What sets your Yoga instructor training apart from any other available on line or correspondence training? A: Service, tutoring, and business assistance are the reasons why we are the world leader in online Yoga teacher training. For example – As mentioned above, you have unlimited assistance by phone and email. You will be assigned a tutor. We have the most comprehensive online Yoga teacher courses because they are an extension of our on-site teacher training in Attleboro, Massachusetts. Feel free to compare us to anyone else. 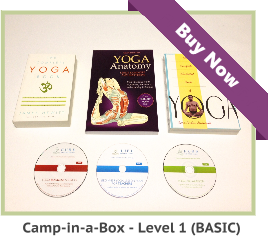 No other Yoga teacher course will give you this level of learning. 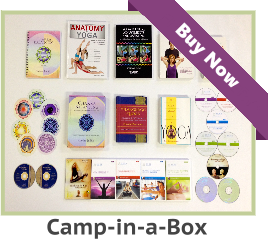 Added to this – marketing and business materials are a peripheral part of this course, which enables you to find teaching positions for Chair Yoga instructors. See our testimonials to find out what our graduates have to say about teaching yoga sessions and our selection of online yoga instructor training intensive courses.